I thought about the weekend message a lot leading up to Sunday and I couldn't escape the fact that the content of this message legitimately "required" a response and clear explanation of "next steps." We were in part two of "Simple" and you can't get a much clearer explanation of "how to be a Christian" Listen HERE if you missed it. 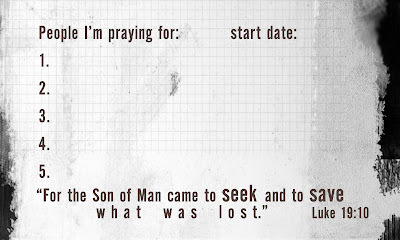 Tell the person you were sitting with or that invited you if you "prayed to place your your trust in Jesus." Go to our website and click the link "I BELIEVE" (image/link below). It provides a clear next step so that we can know how to best help you. TODAY marked the day of salvation for some courageous people at Ridge Church and I've heard from them. What about you? Do you believe? Maybe it's time to go public! Maybe it's time to experience your life as God intends for it to be! Here is a little sneak preview of "Simple" part two. I've been praying all week about the weekend services and I'm really excited. The anticipation and expectation are building in me! If you or someone you know has ever felt like Christianity or church was complicated or just for "church people" then make sure to be sitting in the seats at Ridge this week as Part Two of Simple kicks off. ALSO--Don't forget this will be just our second week having two worship services. If you are a Ridge Church volunteer plan to invite someone to join you for worship at the new 9:30 service. You'll either be glad you did or wishing you had! With our church still being so new, I try to do a financial update on my blog, our worship guide and through our weekly evite at least once every two months but this one is over due so I included a three month spread. We try to be very open and transparent about our finances. You can click on the graph to enlarge it. Here is the brief explanation: The most important number in terms of sustainability and health is the "Regular Giving" number. This number indicates the income Ridge Church receives from the people that actually attend Ridge Church. 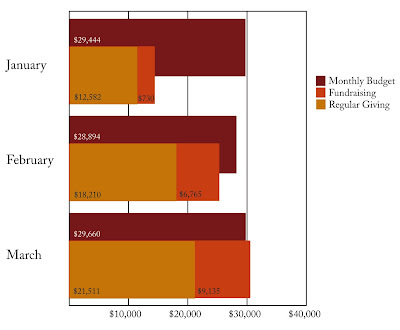 Ideally we want to see the internal giving climb each month until our local giving can cover all of our monthly expenses without a need for outside donors. "Fundraising" This number reflects one time gifts or outside gifts from people that believe in Ridge Church but may not actually attend our church. As you can see this is a very fickle number and one that we don't want to count on for our month to month expenses. Especially in an economic state like our current one, outside fundraising is totally unpredictable. Every gift and every monthly commitment moves us one step closer to financial sustainability and because of your generosity we are making progress even with so many among us losing their jobs. It's pretty amazing honestly! Thanks for your generosity. BUT, we aren't there yet. I say this often: "We are not asking for equal gifts we are inviting equal sacrifice." We believe Jesus words are true and accurate, "Where your treasure is there your heart will be also." [Matthew 6:21] In other words, people's hearts ultimately follow their money. 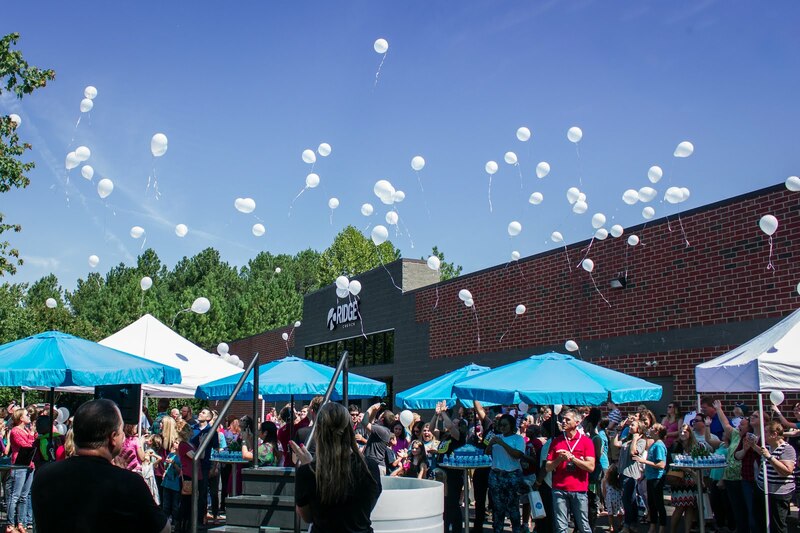 Thanks for investing in people's eternity through sacrifice and generosity to Ridge Church. We can't do this without your continued sacrifices. It makes a difference! Go HERE to Donate. We really had a fun and "memorable" Easter Sunday. 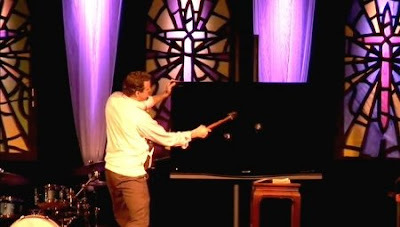 I literally smashed a real 52" LCD Sharp 1080P television on stage during the message. If you haven't heard why--sorry I won't tell you:-) But you can listen to the message HERE and find out. AND the service started off in a really gripping and powerful fashion. In fact we have had so many comments and people asking if we were going to put up the video footage from the service that we decided we would "consider" an encore presentation of the Easter opening in our 9:30am and 11am services this week. Maybe! So if you were late (shame on you) or if you were out of town, on the chance that we might do an ENCORE you really don't want to be late this week. Last but not least. 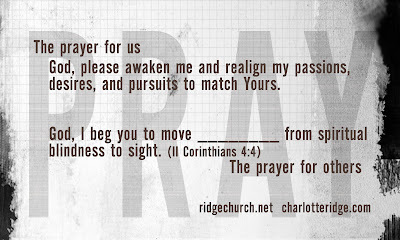 Who have you invited to join you at Ridge this week? We believe church is for everybody not just church people. Invite someone to join you this week. 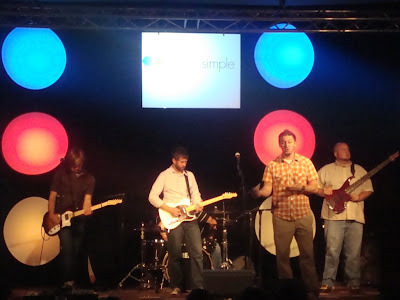 We are beginning a powerful new series called "Simple". 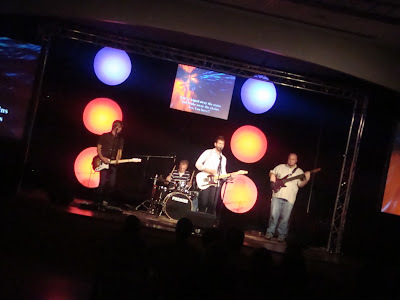 Great Easter Day at Ridge Church--our first Easter that is! How could it not be great though when you recognize the significance of the events represented by this day. I think we are up loading a video of the Easter message on our website later. I'll throw that link up in the next day or two....and maybe, JUST MAYBE we will throw up a video clip of the opener that was pretty unbelievable. Pretty big, $$expensive?, and interesting visual illustration that I don't think anyone will be forgetting any time soon! The time of worship and celebration was really phenomenal as well. The volunteer and staff team at Ridge did an amazing job putting the details of this day together. And the best news...at Ridge we treat every week like it's Easter so next week is likely to be even better. I'll post about that later this week as well. Here are a couple of pics from the day. Rockin' it with some old school stained glass look created by the ever creative Rusty Burchard. This will be our first Easter Sunday morning at Ridge Church and I can't wait! 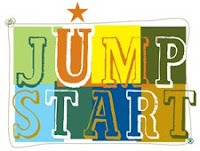 It is going to be a super day full of excitement and memorable stuff. I wouldn't dare reveal all the components and remove the suspense but I will say don't be late. The opener is really awesome! I am talking about this idea of the "Common Threads" of humanity. You may be surprised how much we have in common! I promise you won't soon forget what you see, hear, and experience at Ridge Church this weekend. Not to mention we are celebrating the single greatest event in human history. The event that revolutionized my life and set the course of my life (and many of yours!). Be bold. Be courageous and make the invite to that person in your life that may not have plans for Easter. What if a simple ask, or forwarding an e-vite, or the ten extra minutes it takes to drop off an invite card at their house resulted in a change in their eternal reality? What if forwarding that facebook event changed the spiritual landscape of an entire family or put a marriage on the road to healing? What if the only reason "they" have never come to church is because you have never asked them?...or because they decided "If they ask me one more time I will actually go!" It's definitely worth the risk. Now is the time!